Holland America Line’s ms Veendam (719 feet long) docked at Port Canaveral yesterday. I, along with 50 other travel agents, had the opportunity to spend a couple hours touring the ship. The ms Veendam weighs in at 57,092 tons and has a 1,350 passenger capacity. 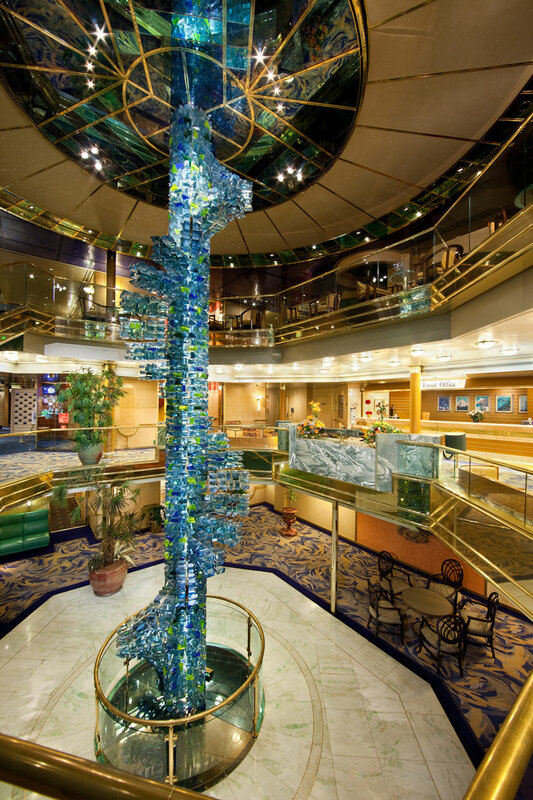 Though this is a small ship, it is gracefully roomy, and spacious. 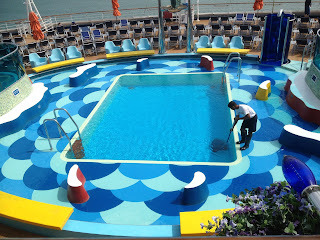 Having never been on a Holland America Line ship, there were several things that impressed me. 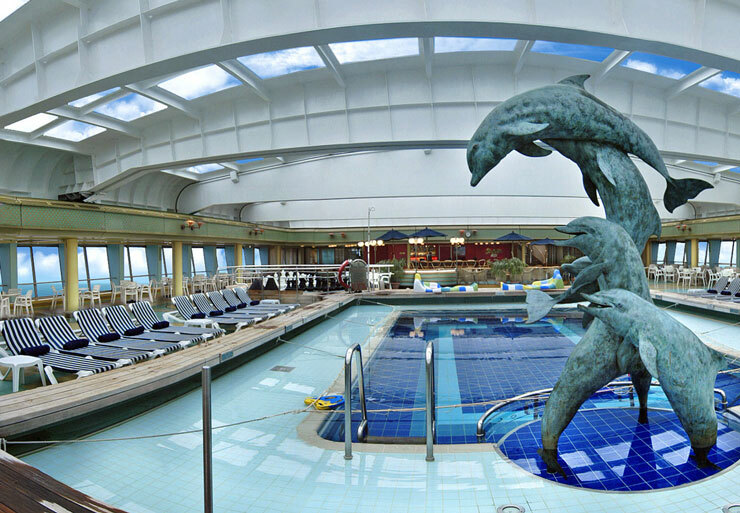 The staterooms were larger than some of the other cruise lines. 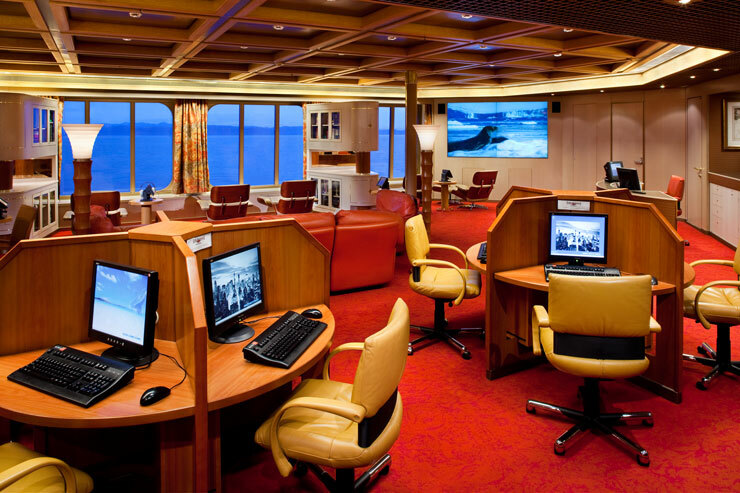 This ship has a lot of public areas for groups to hold meetings and private functions. All of the staff was extremely friendly, helpful, and gave service with a smile. Do you ever notice how when employees like their job and are treated respectfully, the room suddenly starts to glow? The glow was very evident on the ms Veendam. One of my favorite areas was the Culinary Arts Center. 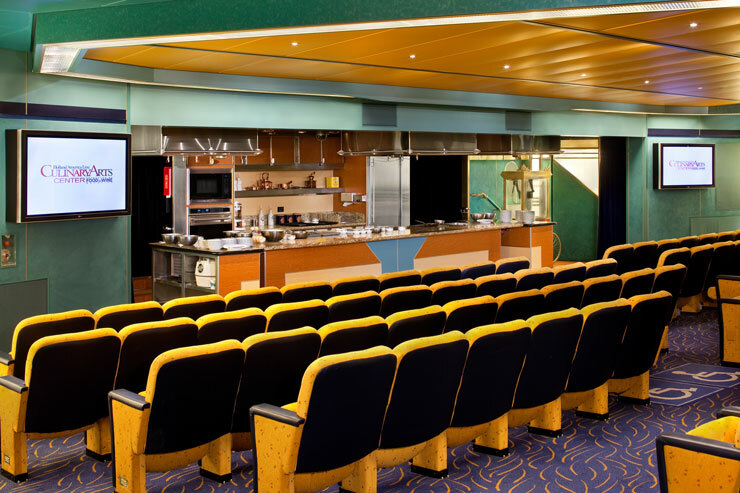 This multi-purpose room that seats around 200 people, is a state-of-the-art show kitchen with plasma video screens and cooking display counters. Here food and wine enthusiasts can increase their knowledge and learn from the onboard chefs. Another impressive public area was the Explorations Café, powered by The New York Times. This comfortable, coffee house environment includes games, computers, and a huge library with a variety of books. If you need a quaint spot to relax and enjoy the day, the Explorations Cafe’ is a must. 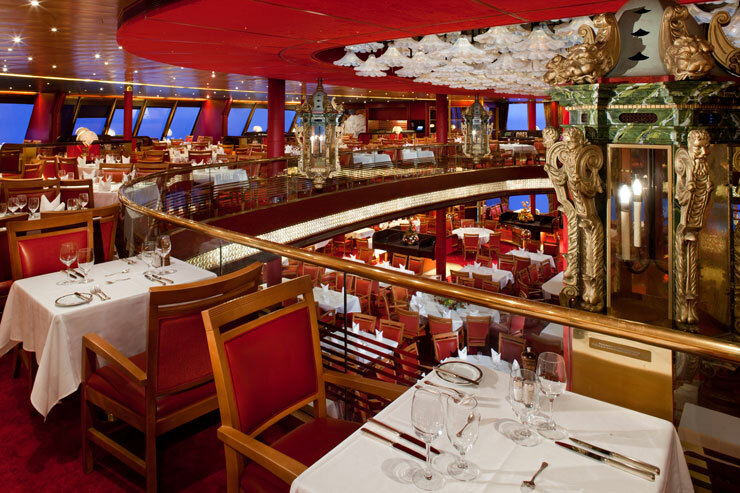 The ms Veendam has one, 2-story dining room, Roterdam. Meals include five-course menus with continental, vegetarian and low-car options. Remember: If you are a cruiser with a special diet, be sure to ask the cruise line if they can accommodate your diet. 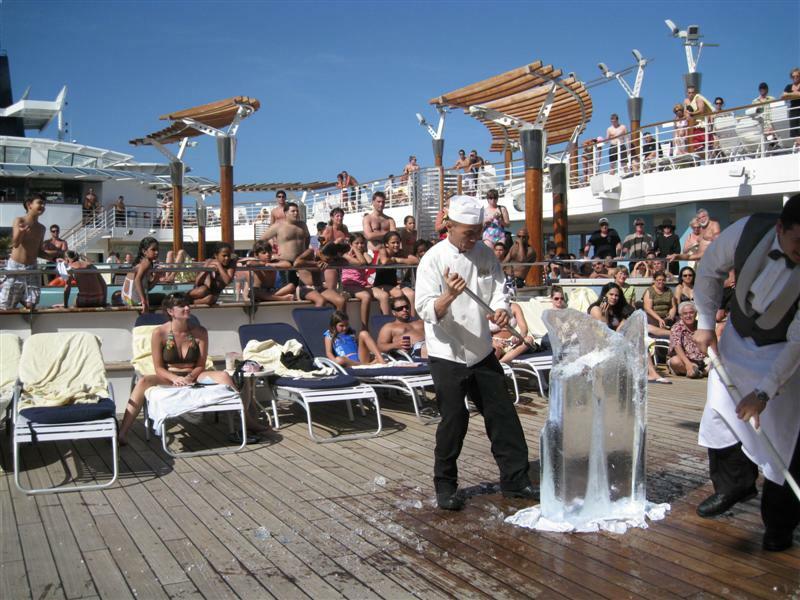 Most cruise lines cater to special diets, but it is better to take care of this prior to sailing. I visited the spa, but I needed to spend more time in there to fully appreciate it. 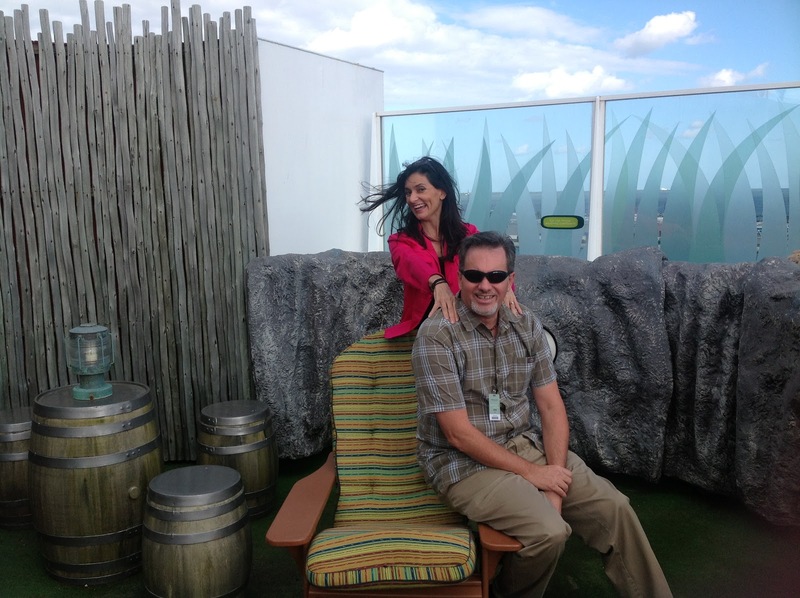 It was a fantastic day aboard the ms Veendam, and as always, the ship tour wasn’t long enough. In order to fully appreciate the ship, I think I need to spend at least a week on her. What Holland America Line cruise ships have you sailed? Be sure to enter our destination sweepstakes. Click for more information.